Overview of the major manufacturers Unit. Radio - the first thing that sets almost every driver after the car is equipped with the basic devices. After all, the music inside the car and the road seems to be shorter, and go not so boring. Especially if the driver from time to time have to travel considerable distances or often stuck in traffic jams. But if you had radio - it was exceptional audio device, modern advanced models with display can not only listen to music, but also, for example, to see the video during a long forced parking. Radio will also help better navigate in an unfamiliar place, if equipped with GPS-navigation. In short, the radio today - is a multifunctional device that is necessary for any motorist. But, of course, models Unit today a great many, however, as other mobile devices. How do they differ and how to choose exactly what you need? What its characteristics are worth paying attention to? Let's try to understand this. Choosing a car, pay attention primarily on the need to power, media type sound and some acoustic characteristics. And, of course, will be important to learn about the system and connect the device to select the optimal body size. But about everything in order. Of course, modern motorists no longer attract cassette recorder, unless you store your media on this audio file. Therefore, you may have to choose between two types of devices. 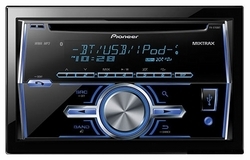 It is simple, supporting MP3 disc or "flash", or more complex - the multimedia navigation screen. If you choose the first type of device, you'll be able to use the media as a sound CD (CD-R and CD-RW - your choice), as well as USB-storage, a microSD card or even a phone. Some models have a special compartment for the player, such as iPod. 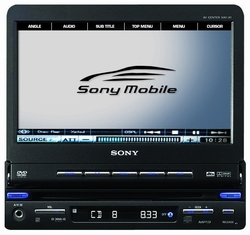 If you are interested in more sophisticated device (especially if you often stand, for example, at a checkpoint or in traffic jams), in this case your choice may fall on DVD-receiver, for example firms Pioneer, Sony or Alpine. But be careful - sure to choose the model that has a built-in display, otherwise watch the video, you can not. Incidentally, DVD-radio can save you from buying Audios Car is a must have if you are used to traveling with children. The main characteristic, which is worth paying attention - this is, of course, power. Because it largely determines the quality of the sound. If you want to enjoy while traveling clean, undistorted sound, then power must be for a minimum of 30 watts per channel. But - attention! It is important that the power column must necessarily be somewhat higher than the power of the device. If you prefer a specific sound mode (eg, classical or rock) is to acquire a model with an equalizer, where these regimes are already preinstalled. Also recommend choosing car compensated loss of sound quality that often occurs when the file is compressed. Another useful feature - automatically change the play mode, based on the noise level in the cabin. If you plan to listen to the radio and alternate player, pay attention to those models of radios, where it is possible to separately adjust the volume on different devices. There are several standard body sizes 50, 77 and 100 mm (called their 1 DIN, 1,5 DIN 2 and DIN). It is recommended to choose the size based on the slot in your car. But not necessarily. It should be noted that the Unit 2 DIN functions more. It is possible to use simultaneously, such as disk and tape, and convenient control receiver. Pay attention to the costs and property front. Ideally, if it is located conveniently on the arrow keys and backlight adjustment panel. Also best to buy a device with a removable front panel that will minimize the likelihood of car theft. Hopefully these tips will help you find the perfect car, which will be your constant companion on the road.